Blind Matter draws together a diverse range of works in which filmmakers and artists have sought to explore the economies of images. From reflections on the potential of plastics – the trade of fossils, creation of images of desire – to new worlds mined within virtual spaces, these works complement Nicholas Mangan: Limits to Growth, and the way in which the exhibition reflects on the relationship of art and abstraction to processes of value creation. Taking its title from Victor Hugo’s statement ‘Man makes blind matter serve him’, the program seeks to reflect our relationship to matter in an age of globalisation and the increasingly mediated nature of our interactions with matter. Featuring works by Harun Farocki, Beatrice Gibson, Lucy Raven and Alain Resnais. The programme was curated to accompany Nicholas Mangan’s exhibition Limits to Growth while I was participating in the Monash Art, Design & Architecture artist in residence program 2016. In his famous polemical parable of the pencil, the economist Milton Friedman, describes with awe the wonders and supposed inevitability of the free market as a means to both liberate people and eventually bring about world peace. This short speech, extracted from the 10 hour PBS documentary series Free to Choose, seen in the light of the recent financial crisis, displays the utopia thinking behind neo-liberalism. In regarding the simple pencil, Friedman describes the global labour and industry behind it, demonstrating that interconnected markets cooperated across language, religion and belief, enabled by the ‘magic’ of the market to create this simple product. This early essay film by Alain Resnais is a celebration of the potential of plastics. Shot in striking colour, the film is a paean to the abstract qualities and malleability of this new material. Providing a fascinating insight into the optimism behind plastics prior to realisation of the stark environmental damage their production causes, the film also anticipates the potential of the material only now being realised with the advent of 3D printing. Le chant du Styrène / The Song of Styrene was commissioned by French industrial group Pechiney to highlight the merits of plastics with a commentary by Raymond Queneau composed in Alexandrines, the film examines with futurist zeal the abstract potentials of an emergent age of plastic. 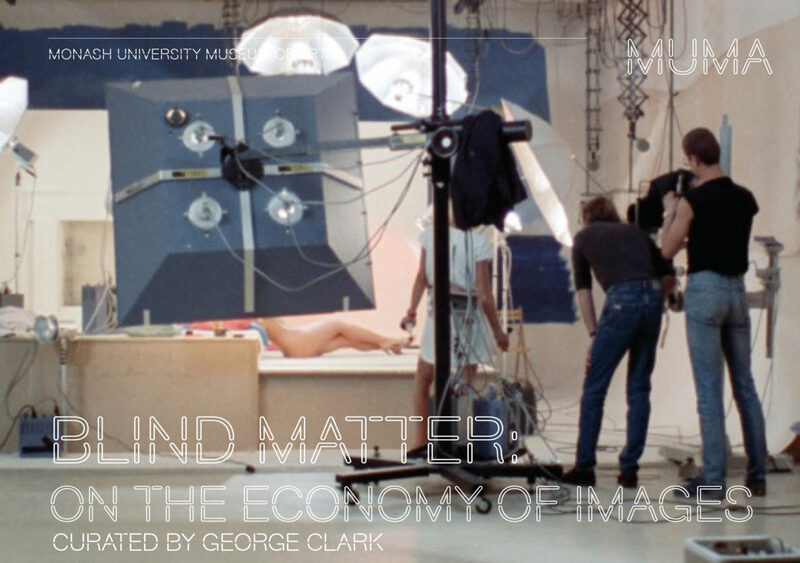 Nicholas Mangan and George Clark discuss Limits to Growth, the current survey exhibition of Mangan’s work at MUMA and specifically Mangan’s filmic works in relation to the ‘essay film’ as a mode of film practice. The talk took place while I was participating in the Monash Art, Design & Architecture artist in residence program 2016. 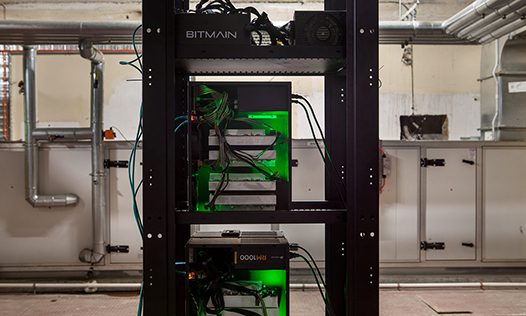 Image: Nicholas Mangan Limits to Growth, 2016 installation view (Bitcoin rig in the basement of Monash University Museum of Art).